(BREITBART) — REYNOSA, Tamaulipas — The raging cartel violence in this border city resulted in 60 murders in November. Rival factions of the Gulf Cartel continue their fight for control of drug trafficking territories and access to Texas. The 60 victims include military and police officers killed in shootouts as well as innocent civilians killed in the crossfire. Breitbart Texas has been tracking the murders and executions that have been taking place in Reynosa since early May. At that time, two rival factions of the Gulf Cartel went to war for territorial control. Since May, the violence has left more than 324 victims. The fighting followed the death of former regional leader Juan Manuel “Toro” Loiza Salinas, a ruthless cartel boss who terrorized Reynosa for almost two years until he was gunned down by Mexican Marines. 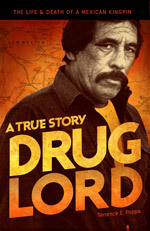 After El Toro’s death, another Gulf Cartel commander named Petronilo “Panilo” Moreno Flores claimed control of the city. However, a faction claiming to be relatives and followers of the late leader led by Luis Alberto “Pelochas” Blanco Flores and Toro’s nephew Humberto “Betillo” Loza Mendez, who also went by the name of Alberto Salinas, have been fighting against Panilo’s forces. The fighting resulted in fierce gun battles where convoys of gunmen clash along the city’s main avenues, those firefights have killed not only gunmen but also police officers and military personnel tasked with keeping the peace. The firefights also led to various innocent bystanders being killed or wounded by stray bullets. The fighting between cartel forces also manifested itself in a dramatic increase in kidnappings and executions. As Breitbart’s Texas has reported, cartel gunmen have resorted to incinerating the bodies of their victims as well as to using shallow pits to dump the bodies of their rivals. The most recent casualty took place on Friday early morning when a State police officer died in a gun battle. A squad of state cops was responding to a call of help from military forces who had been battling a team of gunmen. Two cartel gunmen also died during that clash in the Jarachinas Sur neighborhood. (DAILY BEAST) — Wars are not won by targeting the enemy’s generals and leaving their ground forces intact. That’s not a military campaign; it’s not even a serious strategy. And the same rule applies to fighting organized crime groups. You can’t defeat them by just busting top-dog mobsters, while allowing their armies of henchmen to grow and take over the countryside. Somebody always moves up, and from an historical perspective (here’s looking at you, Prohibition), such trickle-down tactics appear futile. The powers that be in Mexico, however, would have you believe otherwise. Our southern neighbor is now home to the second deadliest conflict zone in the world after Syria, according to a recent survey. Although there is some debate about the metrics used in that study, there’s no question that, as of now, the Mexican government is losing the fight against the cartels. And there’s a good reason for it: The so-called “Kingpin Strategy” employed by military and police in their fight against the cartels has proven itself almost as effective as holding a pocket magnifier over a termite den under a hot sun. You might focus on and fry a few that way, to be sure, but the rest will go right on happily devouring your house.